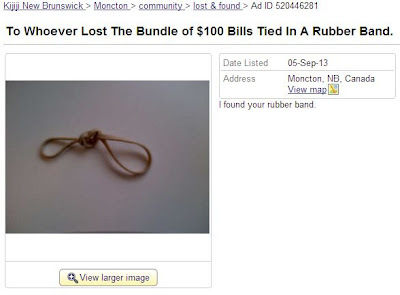 "To Whoever Lost The Bundle of $100 Bills Tied In A Rubber Band," reads a Kijiji Moncton ad. "I found your rubber band." Line directly copied from Spiderman 2.